Give your computer the care it deserves. Keep it clean, fast and reliable. Advanced cleanup algorithm cleans gigabytes of junk with a click of a button. Graphical pie chart displays the state of your Computer as well as how much free space is going to be available if a cleanup is performed (called "free space after"). The information is also displayed in percentage and MB/GB units. Every application creates and manages it's own files in order to work faster, smarter and keep it's settings saved. 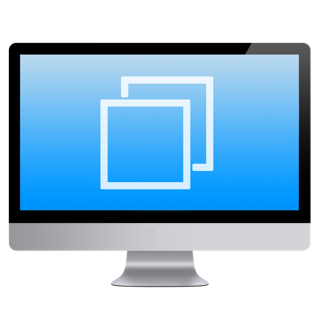 When an application is removed with Finder a lot of leftovers remain on the computer. 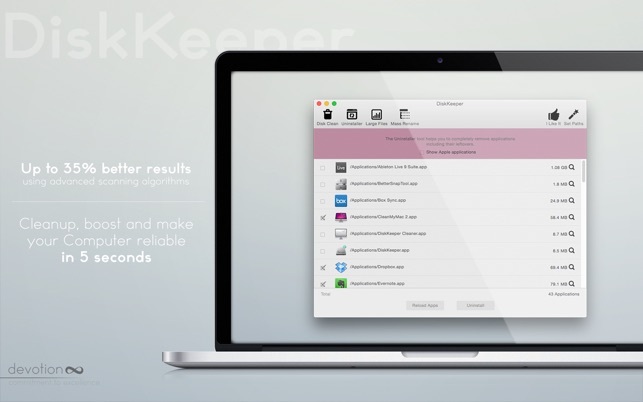 DiskKeeper uninstalls the applications completely, including their leftovers. It's hard to find all big files spread in different folders since they are organized by different criterias. 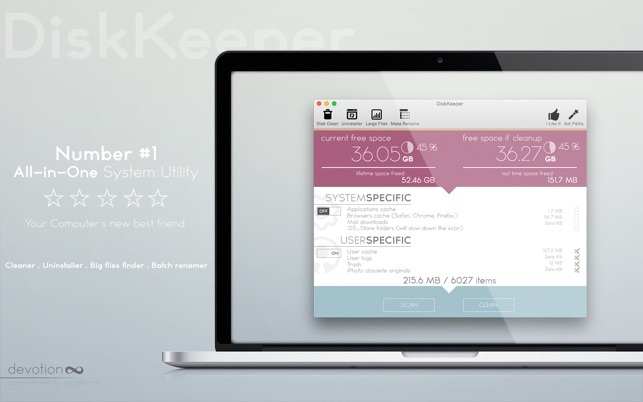 With DiskKeeper you can find all big files in a second. Bulk rename your file collections in a second. With the mass rename utility you can rename files containing, starting or ending with specific word or character. You can add prefix, suffix or replace word or character in thousands of files with a single click. With DiskKeeper you can easily add prefix or suffix to your Summer picture collection. DiskKeeper is completely multithreaded. For instance you can perform disk clean-up and scan for big files simultaneously, without having to wait the other task to complete.